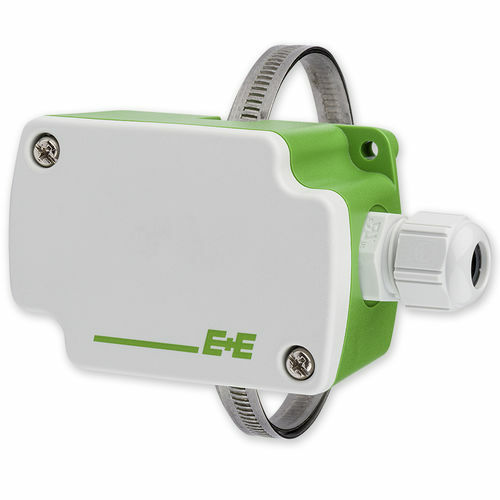 EE441 strap-on sensors are used for temperature measurementon round ducts and pipes. Typical applications are heating systems (warm and coldwater pipes) and solar collectors. In addition to active outputs 0-10 V or 4-20 mA various types of sensing elements such asPt1000, NTC10k or Ni1000 are available for passive temperature measurement. The innovative IP65 housing and the mounting concept allow for fast and easy installation.